The present government needed to understand their feelings and free the coming generations from these symbols of slavery, he claimed. The VHP Friday hailed the Uttar Pradesh government’s decision to adopt a proposal to rename Allahabad as Prayagraj and demanded that the name of Faizabad be changed to “Sri Ayodhya”. 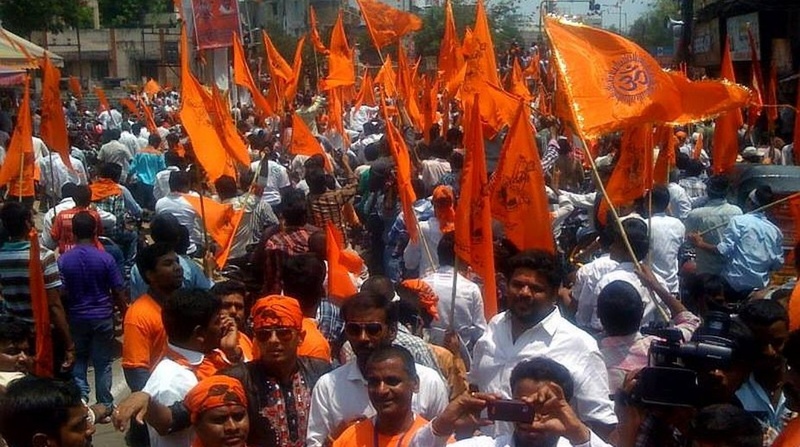 VHP spokesman Sharad Sharma said the renaming of Allahabad aimed to free the mindset of slavery and added all sections of people had hailed this step of the state government. “The Uttar Pradesh government is taking steps in the interest of the people and their sentiments and its decision to change the name of Allahabad is praiseworthy… Now they need to change the name of Faizabad to Sri Ayodhya,” Sharma said. He said there were still a number of streets, buildings and districts which reminded them of the days of slavery. “We have got freedom from the British rule but their symbols still hurt the self respect of every Hindustani,” he said. Sharma said the Adityantha Yogi-led government could make an announcement about it on Diwali and please the seers of the temple town of Ayodhya. Earlier this week, the state Cabinet approved a proposal to rename the historic city of Allahabad as Prayagraj. Senior minister Siddhartnath Singh had said the move would help highlight Indian culture at international level. BJP spokesperson Manish Shukla had praised the government for rectifying a historical mistake but Samajwadi Party president Akhilesh Yadav had criticised the move. Congress spokesman Omkar Singh had opposed the move, claiming the name change would affect the history in which Allahabad had played a significant role in the Independence struggle and later.